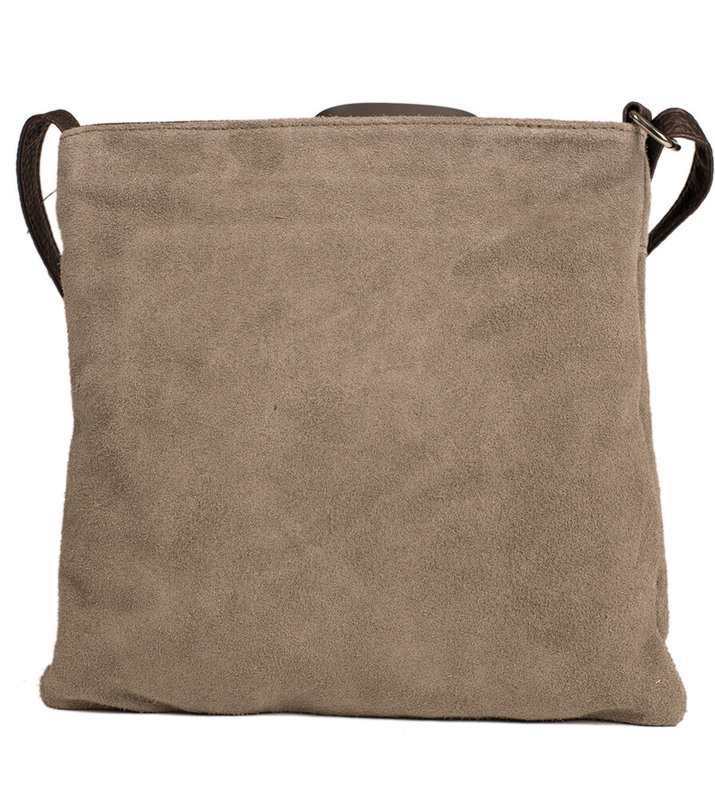 Traditional Dirndl Bag in Grey-Brown. 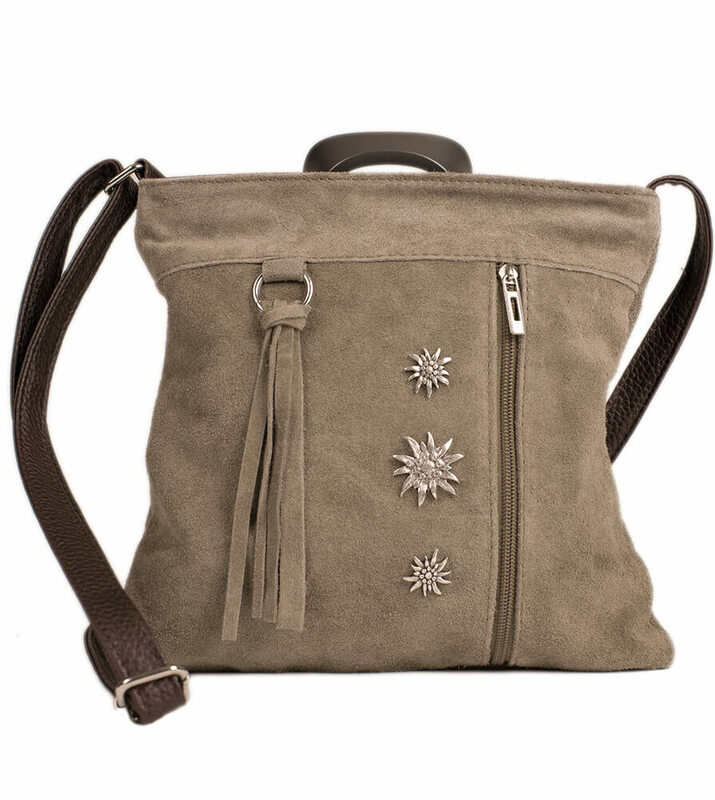 A versatile accessory that is both feminine and stylish; complete your Oktoberfest outfit with this traditional grey-brown Dirndl handbag. 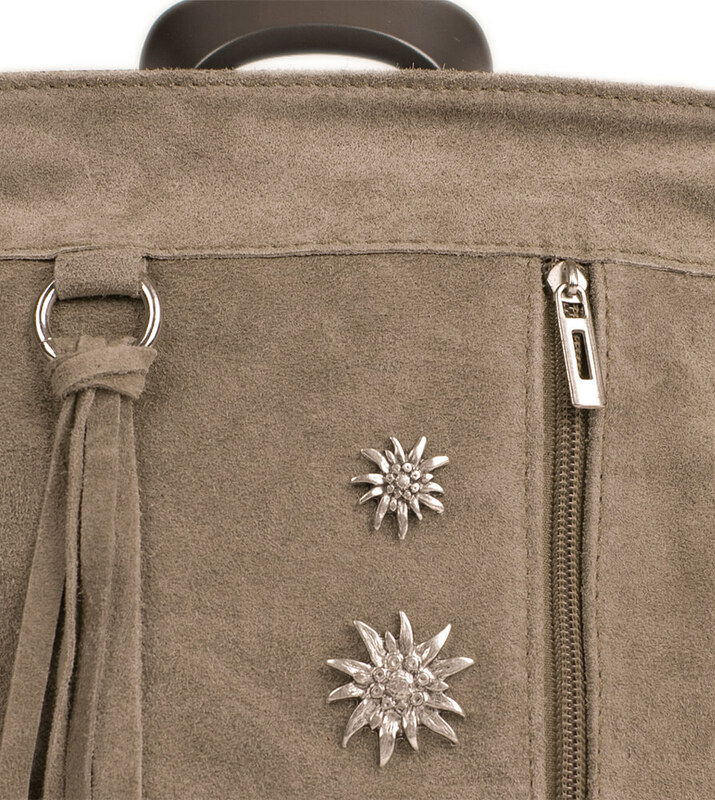 Made from real leather, this bag has a shoulder strap and a small handle and features silver charms on the front along with a tassel and zip detail. Gute Verarbeitung, schöne Farbe, passend zu meinen Stiefeletten und zum Dirndl.